12-12 What Is The Significance? Why Is It Special? You are here: Home / Psychic Q & A with MarVeena / Psychic Q & A with MarVeena Episode 40 What is the big deal about 12-12? 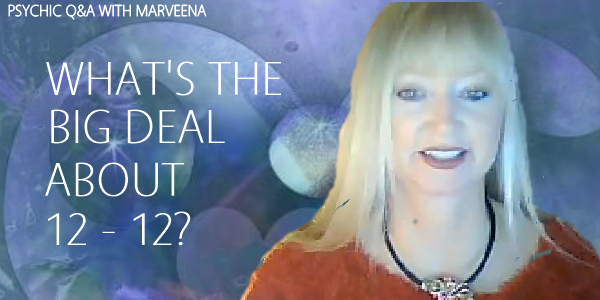 Psychic Q & A with MarVeena Episode 40 What is the big deal about 12-12? The Master Number 12-12 Is A Powerful Vibration And Day To Create Something Special! Numbers are fascinating and 12-12 is coming up soon !! 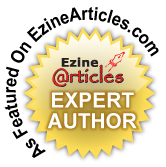 Each week I take a question from my Facebook wall to answer here in this column. This week Jeri writes: You spoke about the Master number 12 -12 coming up. Why is this a special time??? MarVeena writes: 12-12 is a master number and there are 2 vibrations of 12 on Dec 12th. The vibration of the day and the vibration of the month! Dec 12th marks a powerful day and time of the year!When directed, we can tap into our own ability to manifest more of our soul’s mission in this life. The energies contained within sacred numbers can allow us to make determined realizations about our own divine purpose. The date 12-12 contains the opportunity to bring a doubling of our own faith. Motivating ourselves to bring new beginnings in thought, feeling, and action. Just as there is power in 12-12, examining sacred numbers brings understanding of ourselves and the universe. 12 is a powerful number as indicated by examples such as the 12 signs of the zodiac, the 12 Chinese animals, the 12 general hours of light and dark, the 12 months of the year, the 12 spiritual chakras, and the 12 rays of divine light. With the Christmas holidays upcoming, we may be reminded of the song “The 12 Days of Christmas.” Contained within this traditional holiday song is a guide map to remind us of our own divine nature through the use of sacred numbers. Through its lyrics and corresponding use of sacred numbers, 1 through 12, we can see possibly examples of energies with which we can utilize to bring about an expansion of our own consciousness and divine nature. Some believe the translation of the meanings of the 12 Days of Christmas can provide us with inner guidance. When examining those meanings we can see correlations between the number of the day and the spiritual concept portrayed. Within the lyrics, “my true love” refers to source or God/Goddess energies that provide for us all. When examining the sacred number 0, we find that it contains the qualities of all other sacred numbers. This provides source energies or all encompassing God/Goddess spiritual provisions. With each gift given, day 1 through day 12, we are presented with concepts that allow us to grow spiritually. From “my true love,” or source, we are given guidance to live our lives that are mirrored by attributes of the sacred numbers. If we look at Day 10, we find that 10 lords a-leaping refers to the 10 commandments. 10, as a sacred number shows us how we can grow ourselves, transcending our own limitations through universal life principles and the God/Goddess energies of source. Day 7 presents us with 7 swans a-swimming, which refers to the 7 gifts of the Holy Spirit. Examining the sacred number 7 we find that it contains a message of our own spiritual awakenings. 7 shows us how we can accept within us our own developing spiritual gifts. It gives us a clue to trust our inner knowing and allow our enlightenment to come from our natural intuitive abilities. 7 is also the number of our general chakras and energy bodies. Essentially four different documented written accounts. 4, as a sacred number, speaks to us about our stability in life, of our foundational makeup. These can refer to the 4 elements; water, fire, earth, and air. Also of note are 4 sacred directions in other beliefs; north, south, east, and west. These examples can give us insight into how we can be balanced through examining different qualities of our own makeup. All by looking at different views or attributes of living. Just As The Song The 12 Days Of Christmas Gives Us Examples Of Principles To Live Our Lives. The very numbers that count down the verses also provide us with a stair step with which to examine our own spiritual makeup through sacred numbers. As we approach this Friday, 12-12, we can see how sacred numbers give us a map of the energies that are available to us each and every day. This coming Friday is a powerful day with which to acknowledge our own ability to sense the motivation within ourselves to adapt and make progress in our own soul’s journey. Using sacred numbers to find meaning in life and guidance from source is a powerful way to expand our own consciousness. Use this Friday, 12-12, as a way to reaffirm your commitment to yourself to adapt to the new beginnings of the upcoming new year and to trust that what has passed was for your greatest soul good.